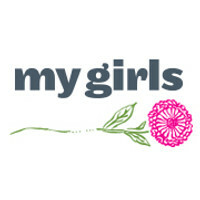 As many customers use My Girls™ Skin Care for many sensitive skin conditions, our devoted team of skincare experts handcrafted a line of paraben-free skincare products focused on Calendula Officianalis Extract; a natural herb with anti-inflammatory and anti-bacterial properties used since ancient times to promote wound healing and reduce inflammation of irritated skin. Today, it is often seen in use in creams and as a topical aid to treat acne, skin burns, rosacea, eczema, reduce skin inflammation and calm irritated skin due to medical treatments such as radiation therapy treatments and dryness from skin side effects of chemotherapy. Our products are hand-made with a specific skin condition in mind, whether it be to minimize the appearance of surgical scars, soften fine lines on the face, calm eczema, rosacea, acne, razor burn or dry, cracked, red skin from sunburn and windburn. Our customers love our products because we provide comfort and peace of mind for those who wish to decrease toxins in the products they buy.